Some of the ingredients in cleaning products can be as harmful to your family as the little bacterial beasties you are trying to banish. Research has proven that high levels of toxins found in breast milk and blood can clearly be traced back to home cleaning products. If you have ever experienced your eyes, nose, head, skin or lungs feeling the effect of harsh chemical while you clean, it is definitely time to change to a safer and healthier alternative. 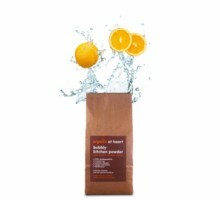 Check out their new BUBBLY KITCHEN POWDER with sparkly organic orange. Containing absolutely no nasties and packed in a 100% decompostable waterproof bag, it’s a must for all healthy kitchens. Use it for washing up, surface cleaning, carpet freshening, deodorising and much more. Last year alone saw nearly over a third of consumers buying naturally based cosmetic and toiletry products on a regular basis. With this in mind, Oraldent, the oral care specialists, have teamed up natural health expert, Sarah Wilson and has today revealed the nations favourite natural ingredients. 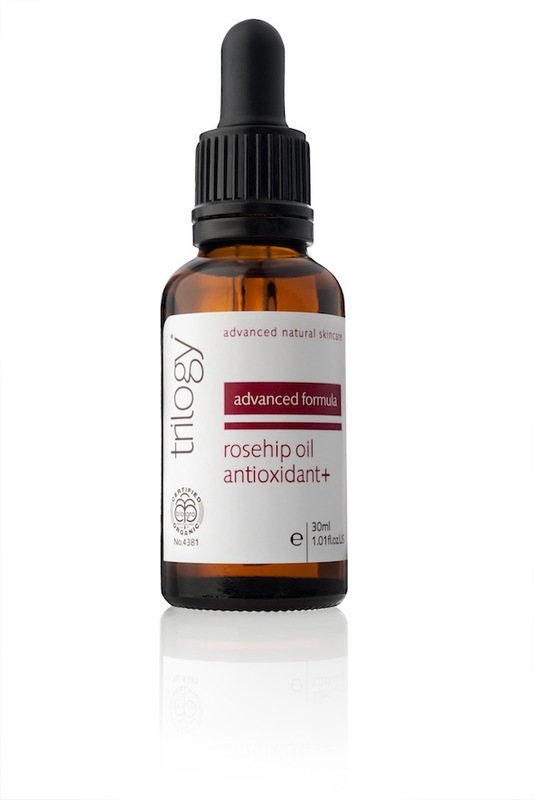 With the increase in information available to the public about chemicals and the benefits of all natural products, it is unsurprising that people are looking for healthy alternatives that will be kinder to their bodies. One leading ingredient found within the top ten, was oranges. Citroxx, is an anti-microbial agent extracted from the pith of oranges and has been proven to be 99.998% effective in eradicating the micro-organisms that cause plaque, known to be associated with gum disease and bad breath. OralClens Natural, the first ever range of mouthwash and toothpaste completely free from harsh, unnecessary chemicals, is based on Citroxx and does not contain sodium lauryl sulphate or sodium benzoate, which makes it attractive to consumers who wish to purchase natural products. It is widely accepted that inadequate oral hygiene leads to the build up of plaque, which unless removed, can destroy gum tissue and eventually lead to tooth loss. Richard Thomas, Managing Director of Oraldent, says, As seen by consumers recent spending patterns, there is a very real demand for ethically conscious products. Choosing products which omit harmful chemicals such as sodium benzoate and sodium lauryl sulphate and are linked with natural ingredients with proven efficacy, allows the consumer to purchase natural healthy products. Citroxx, the unique ingredient in our range has also been found in several studies to be effective for tackling well known hospital superbugs MRSA and C-difficile. OralClens Natural provides the consumer with a healthy, natural alternative. · Oralclens Natural Mouthwash comes in two flavours, Citrus and Mint. · Sarah Wilson – Former Editor of Heres Health Magazine and The Author of Natural Health for Children. London: An analysis of 26 skeletons selected from the Museum of Londons collection of 17,000; textile designs based on patterns found in x-ray crystallography, not seen since the 1951 Festival of Britain; a newly commissioned film by Marion Coutts and an exhibition about the thoughts and wishes of the dying – are some of the forthcoming special exhibitions at Wellcome Collection during 2008. [full listings below]. 2008 will end with a major exhibition exploring the complex relationship between War & Medicine and the ways in which mankind’s desire to repair and heal has tried to keep pace with its capacity to wound and kill. The exhibition will look back as far as the Crimean War and will be brought up to date by specially commissioned artwork addressing the problems of military medicine in the conflict in Afghanistan. This will be the second part of a two-phase collaboration with the Deutsches Hygiene-Museum in Dresden, the first of which, Sleeping & Dreaming, opened on 28 November and closes on 9 March 2008. Wellcome Collection www.wellcomecollection.orgthe new £30m public venue from the Wellcome Trust opened in June 2007. The buildings three galleries combine medicine, life and art to provide insight into the human condition. Exhibitions, both temporary and permanent, are supported through a public events programme that brings together experts from the arts, science and humanities to further explore human wellbeing. Wellcome Collection has been visited by over 100,000 people during its first five months of opening. Full information on each temporary exhibition will be posted at www.wellcomecollection.orgthroughout 2008. Entry to all exhibitions is free. Sleeping & Dreaming, the second major temporary exhibition at Wellcome Collection, explores sleep  the mysterious state we inhabit for a third of our lives. 250 objects across five major themes enable visitors to explore the biomedical and neurological processes that take place in the sleeping body and the social and cultural areas of our lives to which sleep and dreams are linked. The exhibition is the first of a two-part collaboration with the Deutsches Hygiene-Museum in Dresden. Exhibits range from artworks by Goya, Catherine Yass, Jane Gifford and Laura Ford, to an interview with a victim of sleep-deprivation interrogation; from a vehicle designed to provide homeless people with a mobile place to sleep to an extraordinary range of alarm clocks and a collection of traditional lullabies from around the world. Sleeping & Dreaming public events are detailed below. The German photographer Walther Schels and journalist Beate Lakotta spent a year talking with terminally ill patients in hospices across Germany. They photographed 24 consenting patients shortly before and just after they died. The resultant portraits are shown side-by-side, accompanied by a short text which describes the patient’s experience of the situation in which they find themselves  having to come to terms with the imminent end to their lives. This exhibition brings to light an extraordinary collection of vibrant textile designs from the early 1950s, most of which have been lying unseen in the collections of the Victoria and Albert Museum and the Science Museum for over 50 years. For the 1951 Festival of Britain a group of designers collaborated with some of the most distinguished scientists of the period to devise a range of fabrics and furnishings based on patterns revealed by x-ray crystallography – a means of visualizing the crystal structure of both organic and inorganic materials. from the Science Museum playfully to explore the workings of memory. The Museum of London has approximately 17,000 skeletons in its care, all removed for their preservation, from building sites under different parts of London. This exhibition will present 26 of these skeletons along with all the information about their health and likely social circumstances that can be gleaned from the location in which they were found and from a detailed analysis of their bones. The skeletons featured include some dating back to Roman times and many which reveal a great deal about the health and social conditions of the period in which they lived.. The third major special exhibition at Wellcome Collection and, following Sleeping & Dreaming, the second of two exhibitions devised in collaboration with the Deutsches Hygiene-Museum, Dresden. War & Medicine will assess the impact and influence that warfare and medicine have had on one another. It looks at the way mankind’s desire to repair and heal has tried to keep pace with its capacity to maim and kill, meeting sometimes with success and sometimes with failure. As with Sleeping & Dreaming, this exhibition will include the perspectives of artists, writers and filmmakers as well as those of medical scientists and social historians. Medicine Man (350 m2): This exhibition contains more than 500 strange and beautiful artefacts from Sir Henry Wellcome’s original collection, presented in a rich American walnut-panelled gallery, centred on a large ‘Wunderkammer’ cabinet. Medicine Now (350 m2): The Medicine Now exhibition explores contemporary medical topics through the eyes of scientists, artists and popular culture in a bright contemporary environment. The first opportunity of seeing a new work by leading British artist Catherine Yass that documents her waking moments and dream recall. Catherine will be joined in conversation by Lux Gallery Curator, Lucy Reynolds, and will discuss her interests in sleeping and dreaming. This symposium will explore insomnia and sleeplessness through science, psychology, history, sociology and art. The event will begin with a special performance of Bachs Goldberg Variations by innovative classical music group, Manning Cammerata. When Johann Sebastian Bach first composed this music, it was used as a curative for Count von Kaiserlings insomnia. An End To Feeling Shattered? If you could live without sleep, would you? Drugs that enable you to stay awake 24 hours a day have been produced but would you want them? Should they be made available? What would be the impact on your body, your relationships and your life? Join a panel of outspoken speakers to debate whether drugs are the answer to 21st-centruy life. What is the Wellcome Collection? Wellcome Collection is a new £30 million visitor attraction from the Wellcome Trust that opened on 21 June 2007. Wellcome Collection is a world first. It combines three contemporary galleries together with the world-famous Wellcome Library, public events forum, café, bookshop, conference centre and members’ club, to provide visitors with radical insight into the human condition. Wellcome Collection builds on the vision, legacy and personal collection of Wellcome Trust founder Sir Henry Wellcome and is part of the Wellcome Trust’s mission to foster understanding and promote research to improve human and animal health. The building is centred around three substantial galleries totalling 1350m2 and the world famous Wellcome Library. · Put on extra pounds that just wont shift? · Feeling lethargic and low? · Post-pregnancy weight and no time to spend on yourself? · Too tired after work to cook and eat properly? At last, innovative company, Nosh has created a unique service that delivers nutritious and appetising organic, dairy and gluten free meals direct to your door. Eating healthy, delicious meals and getting in shape, all become much easier when you have a dedicated chef working for you. No longer just the preserve of stars and the super rich, Noshs highly trained chefs specialise in a variety of international cuisines and use only the highest standards of fresh, organic produce to create delicious, dairy and gluten free meals tailored to your lifestyle. And its all so easy! Every morning Nosh will deliver specially prepared gourmet meals and snacks, for both you and your family that will both delight your taste buds and satisfy your dietary needs. So whether your aim is weight-loss, detox, or simply a long needed energy boost, you can forget recipe books and supermarkets, and concentrate on enjoying all your new found free time. Brainchild of Geeta Sidhu-Robb, author of the best selling, Food for All: Gluten, Diary, Egg and Nut Free Cookbook, Nosh was founded in 2005, initially providing healthy food for babies and children. Geetas own son was diagnosed with anaphylaxis as a baby and went on to develop multiple food allergies, leading Geeta to retrain as a food technician with a mission to educate people in correct eating patterns and the benefits of a balanced diet. Nosh is based in Chelsea and caters for customers within the M25 area of Greater London. At £39 Nosh is the only food delivery service that guarantees its customers organic diary and gluten free food  and you can taste the difference. Brigitta who trained in Hungary is known for her tailor-made facials. This experience in the hands of the expert will leave your skin glowing and rejuvenated with effects that last. And its all organic. Using the finest cherry-picked selection of professional, chemical-free, organic products to deliver great results. Brigitta is now offering the greenest, customised beauty treatments in London while developing her own bespoke organic skincare range. Don’t miss out or settle for less! She also has a range of gift vouchers perfect for that special present.